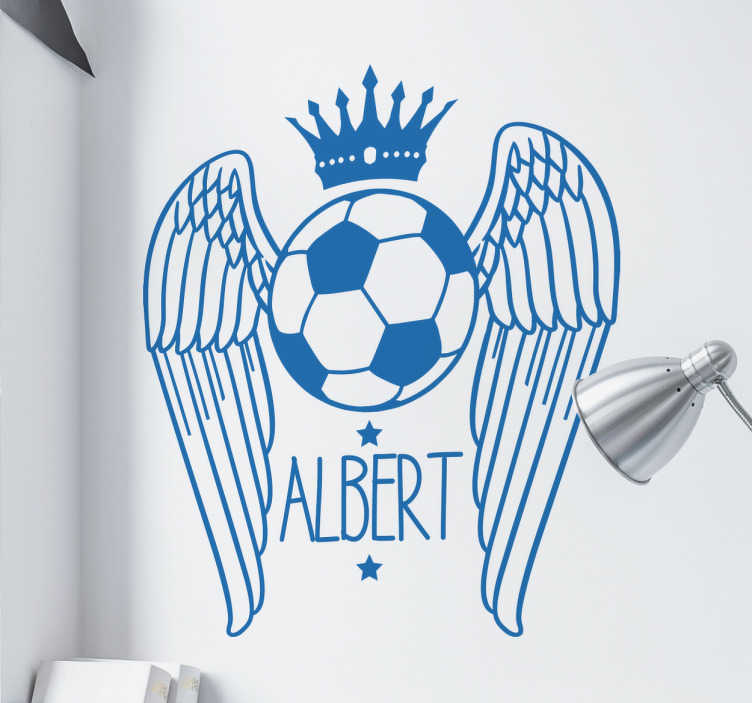 Personalisable Wall Sticker of a football with wings. Enter your own name or the name of your child on this beautiful wall decoration. Do you remember watching a football miracle? This removable wall sticker is suitable for all football fans. With this decoration on the wall of the living room, bedroom or nursery, it is clear to see that football greatness lives here.